Please note that the entrance from West Patrick St.(144) by West Frederick Middle School is the preferred entrance to enter campus on game night. 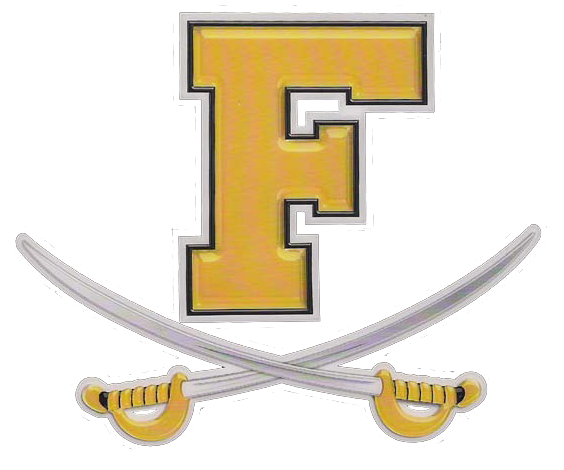 Upon entering campus immediately stay to the left and follow the driveway with WFMS on your right hand side to the rear of the new FHS. FHS administration asks that you park in the designated parking spaces in front of the auditorium (black on map) (by our baseball & softball fields). Doors open on game night at 4:45 for basketball & volleyball, 5:15 for wrestling. Please do not block access for emergency vehicles and do not park along the curbs that are painted yellow. 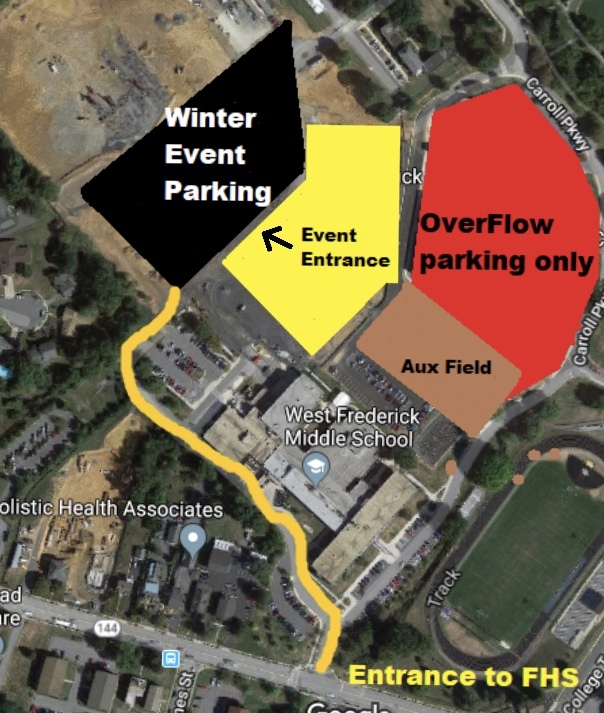 In the event there is limited parking available in the designated area, overflow parking will be available in the staff lot (red on map)located in the front of FHS. Please note that you will have to walk around the building to gain access into the preferred entrance. Signs will be located around Frederick High School to assist you with the location of the event entrance to the school. Please be patient and allow yourselves enough time to safely park and walk on designated sidewalks to gain entry to the arena. Carpooling is recommended as parking is limited. Hanging out or loitering in parking lots is unsafe and not permitted.